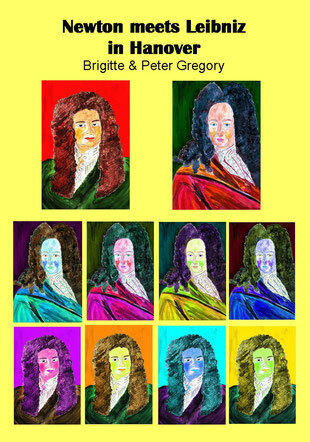 This book describes the variouis stages along the way of a project for secondary school pupils to set up, and perform a roleplay concerning a fictive meeting between Sir Isaac Newton and Gottfried Wilhelm Leibniz in Hannover, as part of the celebration for 300 years death and 370 years birth of Leibniz. There is also a CD of the live recording of the first performance of the play, on 24th October 2016 in the Leonardo Hotel, Hannover. A series of 5 books for beginners. 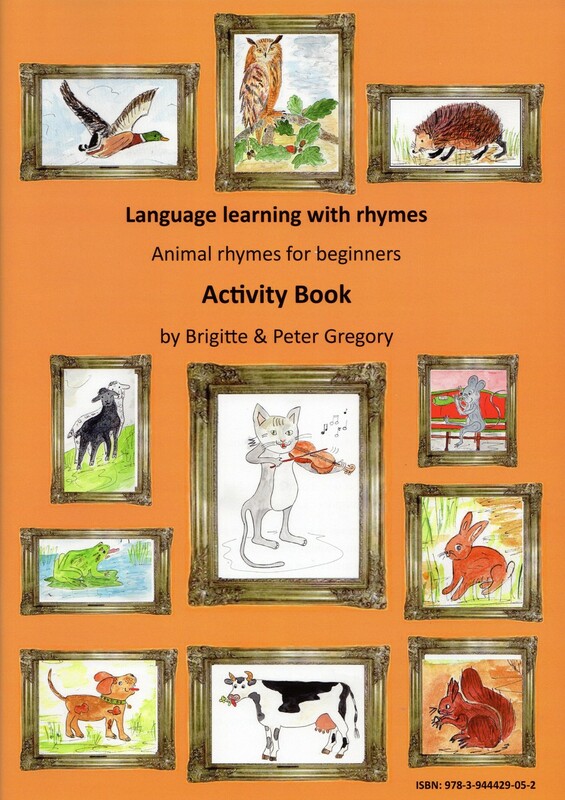 A selection of new and old rhymes in English and German about 13 animals, from ants to cows, in a bilingual, turnaround book with CD. The CD is spoken in normal and slow tempo (for easier repetition). 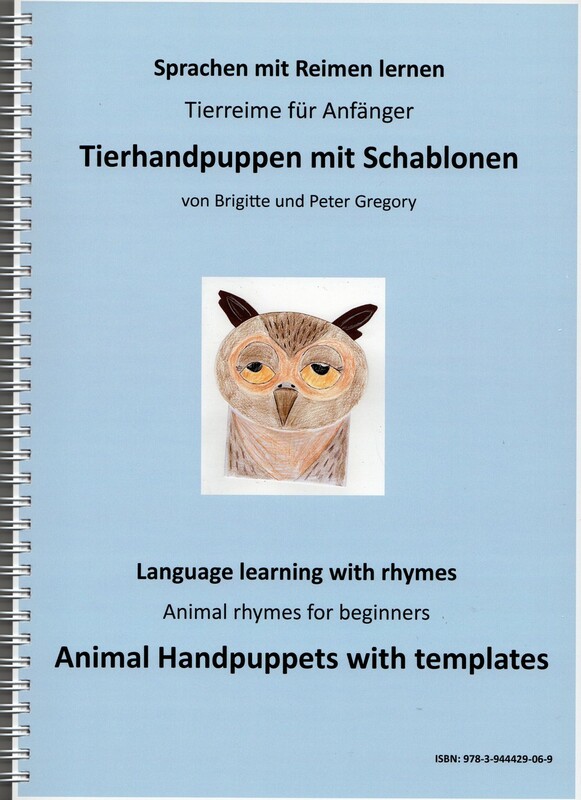 Bilingual book of templates for making handpuppets for each of the animals, for use in dialogues and role play. 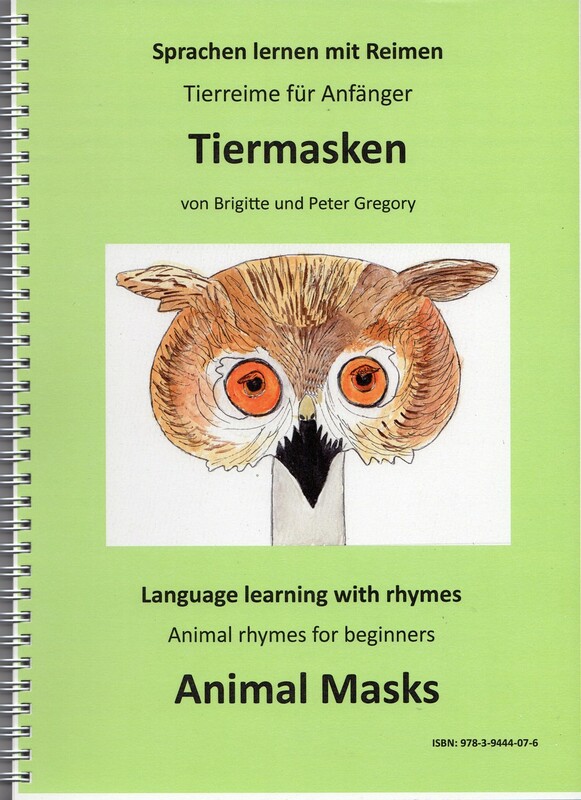 Bilingual book of animal masks on thick paper for each of the animals, to be cut out and used for dialogues and role play. 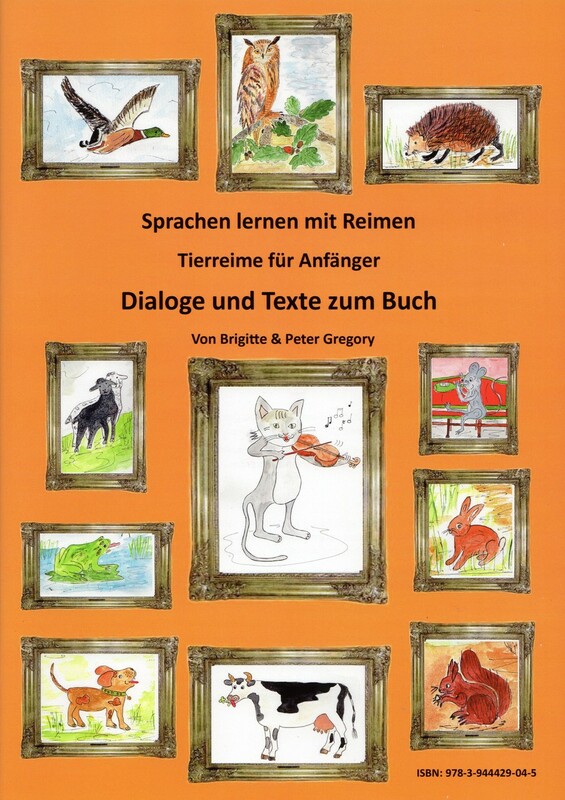 A work book in German (+ CD) to use with the handpuppets; gives example dialogues and minitexts. 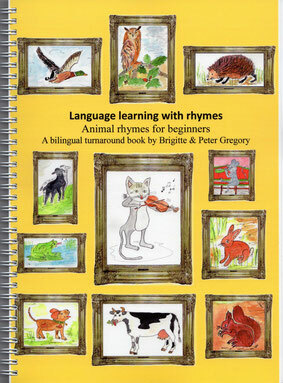 A work book in English (+ CD) to use with the handpuppets; gives example dialogues and minitexts.